Frequently in our project, we receive issues from our users complaining that they have created a personal view for their chart. However the chart is not showing any data. The only option we have left then is a screen sharing session with the user to check the filters of his/ her personal views or to go into database and check the fetchxml of the personal view and identity the filters. This is because in MSCRM, even if you are an administrator, you cannot view other person’s personal views. Off-course these are not great options and what if you are operating in an Office 365 environment. No option other than screen sharing right? 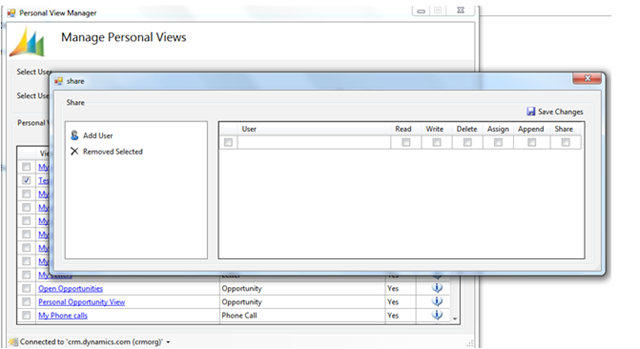 So ever wished if you could see other’s personal views in CRM? If so you now have a tool to do this. This tool will allow you to share other user’s personal views with yourself as well as with other users of CRM just the way you share your personal views in CRM with other users. And as usual like my all other tools its free and deployed in codeplex. For details regarding the security privileges to run the tool and how to use the tool, navigate to the codeplex link below. Recently in our project we faced this error. Users of our system were getting this whenever they were trying to create/ update a contact. The error seems to talk about some complex control in CRM to which the user does not have read privilege. Perplexed that you never heard of any ComplexControl entity in CRM? Don’t worry me too was. However a little bit of search in SDK regarding this privilege and this is what I got from the SDK. ComplexControl entity is for internal use only. 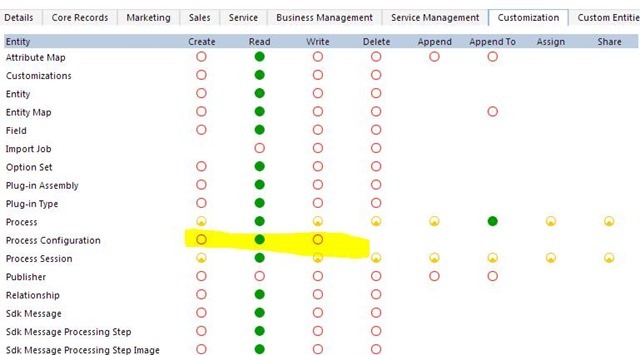 However, users need read access to this entity in order to see the updated experience for lead and opportunity forms. Still can’t find the complexcontrol entity? No worries. Open the security roles of the user who is getting this error. Go to Customizations tab and search for the Process Configuration entity and assign the privileges for the security role. Check the below screenshot. The SDK also clearly states out that this privilege is for Process Configuration entity. Recently in our project we were getting this error continuously while creating a user in CRM using SDK. 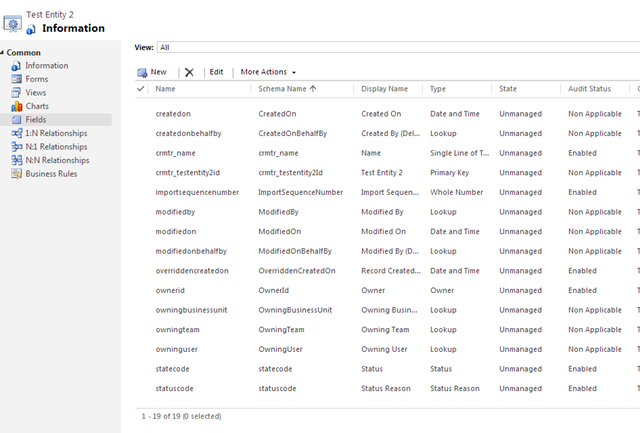 The code basically reads the user data from a text file and creates the record in CRM. Googled a lot about the error and tried all the resolutions available. But nothing solved the problem. Also the problem was not occuring for all users but some of the user’s data. Hence we thought that the error might be because of data and nothing to do with the code. Voila!. Our guess was right. for some of the user’s data, first name and the last name was not coming. Since CRM derives the Fullname of the user from the First, Last name, we were getting this error. However had to say that the error message is quite misleading. However thought of sharing since this might be of help for others getting similar error.